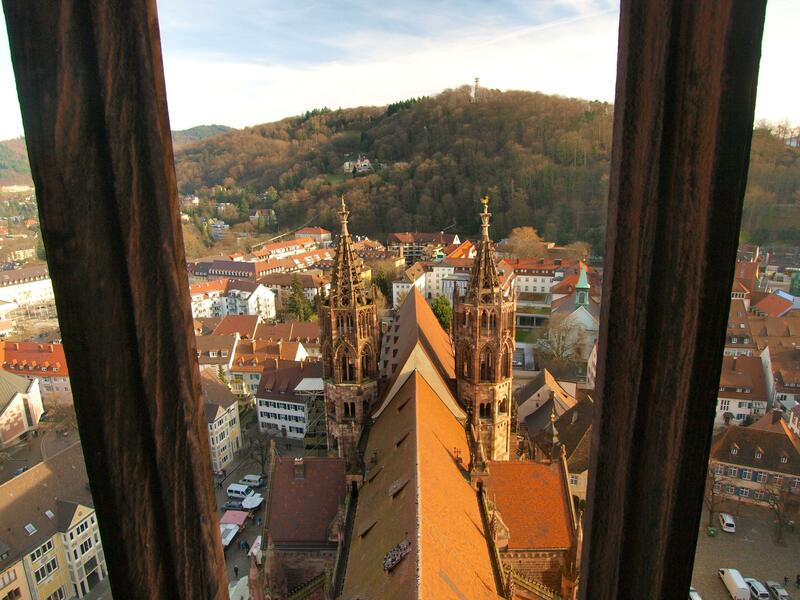 When visiting a new city, one of the first things I like to do is climb up to a vantage point that helps me get my bearings on the streets below. 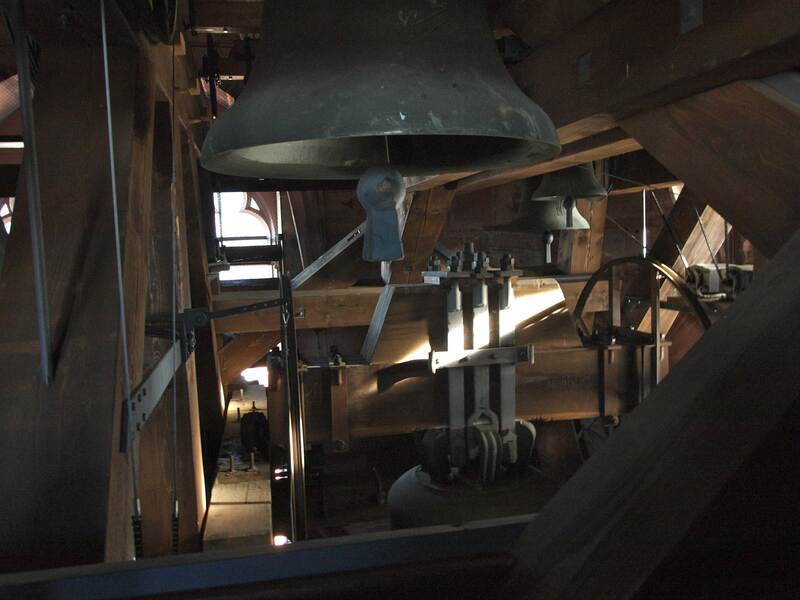 In Europe, one of the best places to go is to the top of the bell tower in a cathedral, which are often centrally located and open to the public. 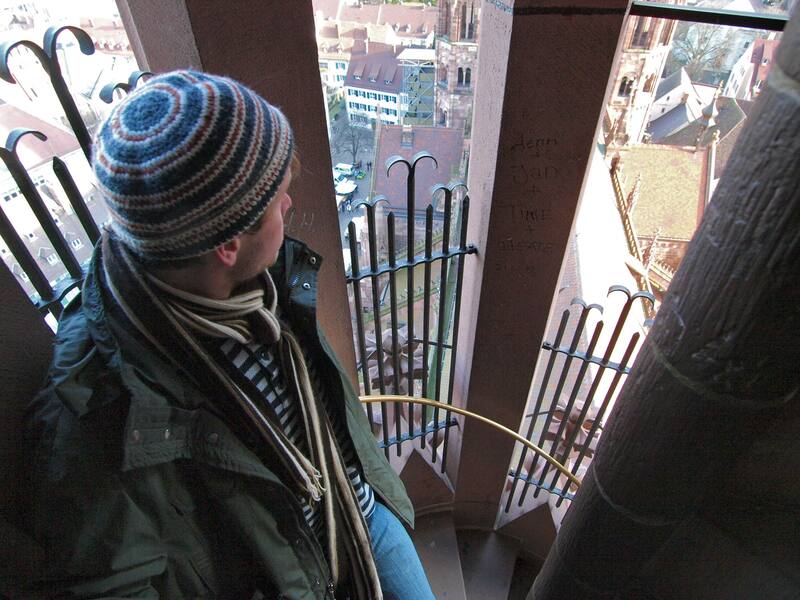 On our first full day in Freiburg, Germany, where my sister and her husband live, we took the 209 spiral stairs to the top of the Minster Cathedral. This mixed Romanesque and Gothic Cathedral, started around 1200 and finished in 1330, is one of the oldest surviving churches in Europe. 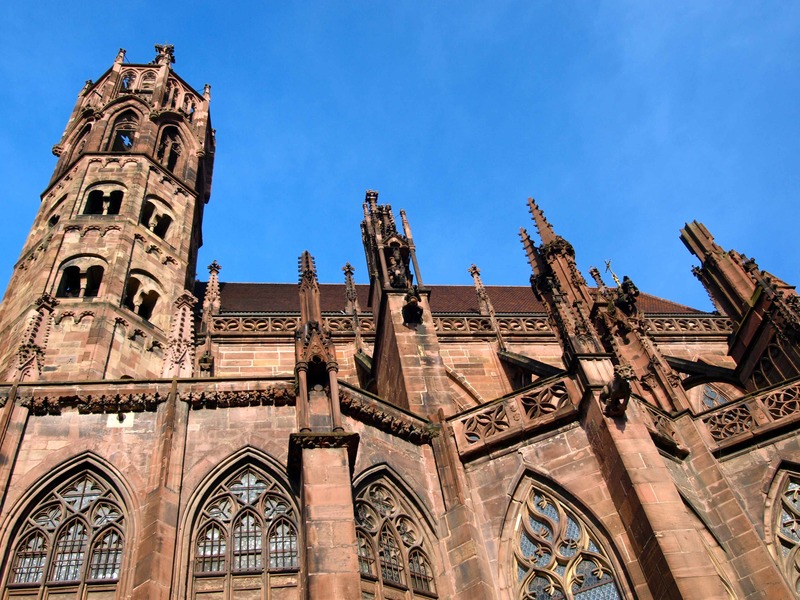 It was purposely spared the bombing raids of World War II, which leveled large sections of Freiburg. 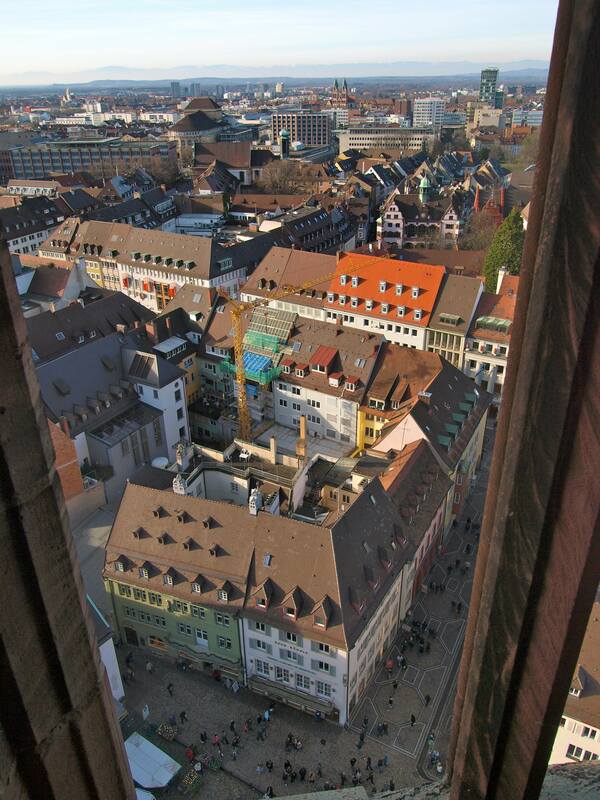 From the Minster’s bell tower, we had a great view of the city. Freiburg has an extensive no-cars-allowed pedestrian zone in the center. The clear, cold Dreisam River runs through the middle of town and sparkling canals divert water from the main river throughout the city. To the east lies the Black Forest, to the south, Switzerland and to the west, France. View to the North. My sister's apartment is near the church with the twin steeples. 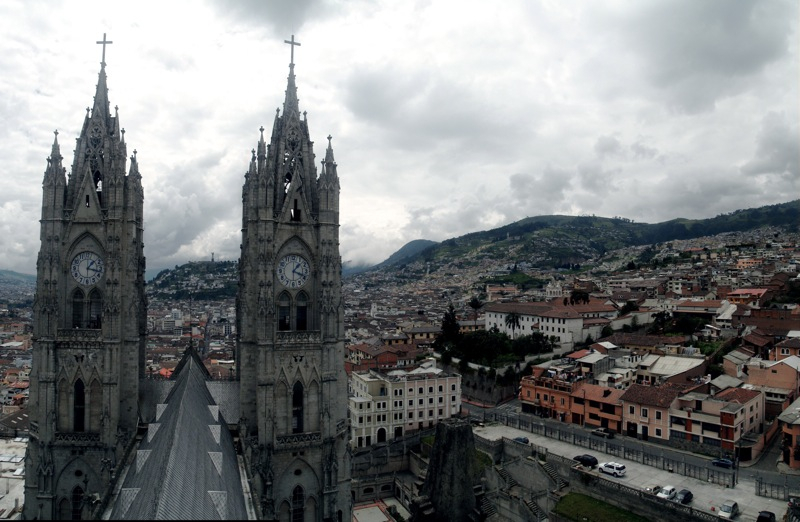 This entry was posted in Beyond the USA, Photography, Uncategorized and tagged bell tower, cathedral, Ecuador, Europe, Quito. Bookmark the permalink. Do you remember how many steps to the stop of the tower? 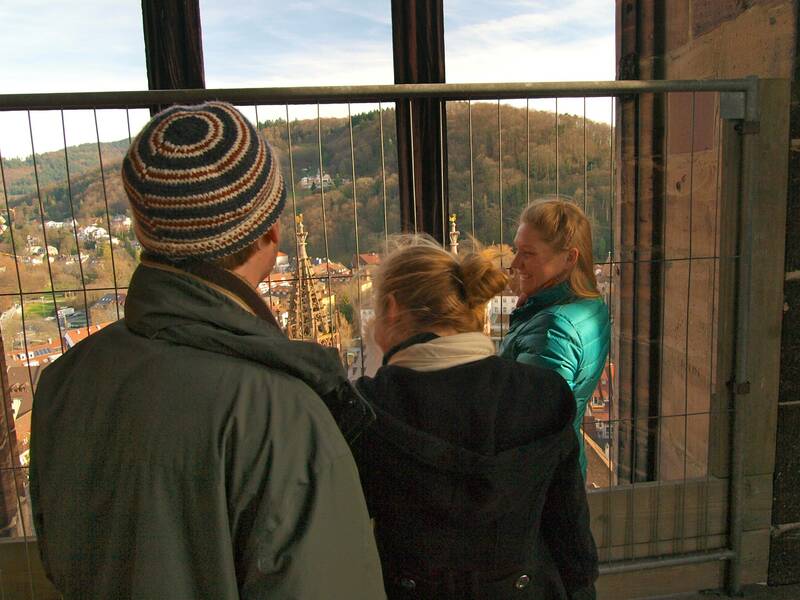 Do you remember the number of steps to the top of the steeple in Frieburg Germany?